Introduced a few months ago, the fifth-generation Honda CR-V is improved in every way, from interior space to fuel consumption and safety. The 2017 Honda CR-V keeps everything that made consumers fall in love with the previous CR-V, then adds more features that make Honda’s latest compact SUV stand out even more in its crowded segment. 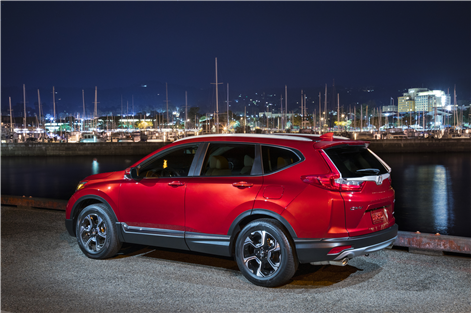 Available from $ 26,690, the 2017 Honda CR-V comes standard with heated seats, a rearview camera, Apple CarPlay and Android Auto connectivity features, keyless entry with push-button start, air conditioning and cruise control. The LX model, starting at $ 29,490, adds all-wheel drive as well as the active safety technology package known as Honda Sensing. Consisting of a number of driving assistance systems such as intelligent cruise control, lane departure detection and prevention, automatic braking with forward collision warning, and much more, the new 2017 CR-V was designed to detect potential dangers out on the road, and avoid accidents before they happen. 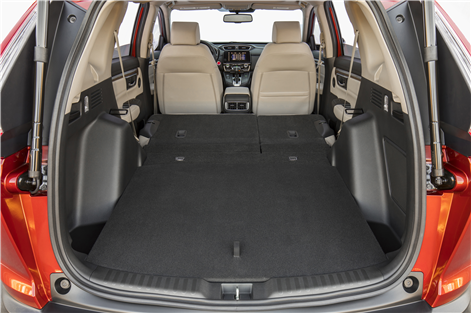 Inside, the new 2017 Honda CR-V offers plenty of storage and cargo space with 1,110 liters of space behind the rear seat with all seats in place, and 2,146 liters with the rear seat folded down into the floor. 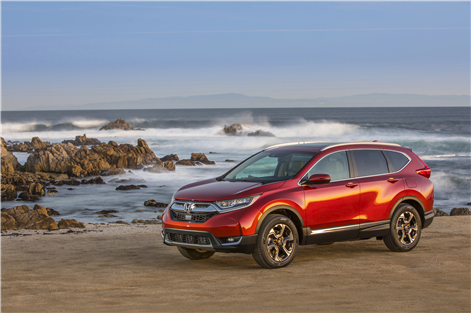 The 2017 Honda CR-V features an all-new 1.5-liter four-cylinder engine that was taken from the new Civic, and then tweaked for the new CR-V. Power is now rated at 190 horsepower, five more than the old 2.4-liter engine. This engine comes standard with a CVT automatic gearbox. In addition to being more powerful, the new 2017 CR-V’s engine is more fuel-efficient with an average fuel consumption rating of 8.4 liters per 100 kilometers in the city and 7.0 liters per 100 kilometers on the highway, leading to a combined fuel economy rating of 7.8 liters per 100 kilometers with front-wheel drive models. All-wheel drive models offer an average fuel economy rating of 8.7 liters per 100 kilometers in the city and 7.2 liters per 100 kilometers on the highway. On the road, the 2017 Honda CR-V offers a balanced ride and above all, an impressive level of comfort. The passenger compartment is very quiet and the suspensions are able to absorb road imperfections without flinching. To find out more about the new 2017 Honda CR-V, contact us today at Orleans Honda!